Udo is a small island in Jeju Island. And they are famous for peanuts. Ice cream itself is made with peanuts and it's topped with ground peanut and whole peanuts. It's like a peanut lover's dream. First stop is Rich Mango at Aewol. Such a cute little place with pretty yellow and red colors under the blue sky. This was 100% Mango Shake and it was so fresh and sweet. And the best part is it's right across from this view! We stopped by Osulloc Green Tea Museum. They have a cafe with everything green tea! This green tea ice cream was so good! It was not too sweet but has strong green tea flavor which I love! 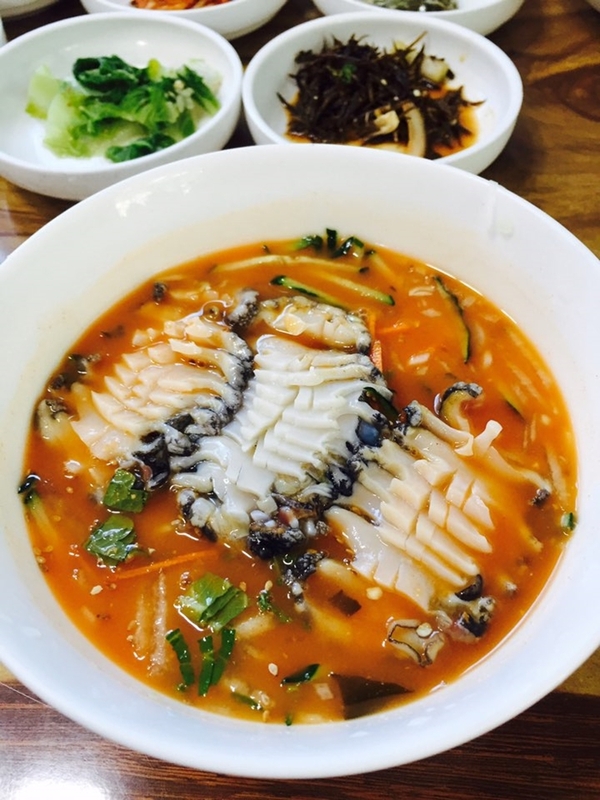 Jeju is famous for their fresh local seafood. This place is called Soon Oak Yi Nae Myung ga. 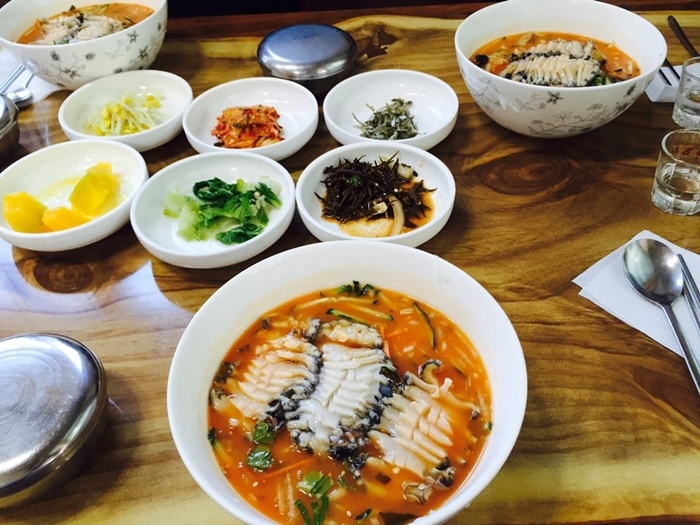 They are known for their Mool Hwae(Sashimi in cold soup). 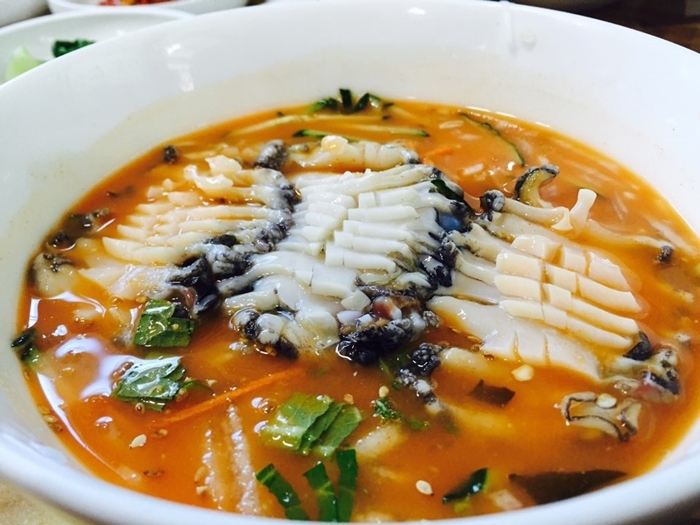 This is abalone in sweet and spicy cold soup. Soju is Korean rice wine. They usually come in green bottles. It's kinda like Sake or Vodka. This one is called Hallasan and it's made with natural volcanic mineral water from Jeju Island. This was abalone sashimi from Myungjin Junbok. They are the most famous abalone restaurant in Jeju Island. This one is abalone rice in stone pot. Grilled abalone is served on a hot plate. They were the most delicious abalones I've ever had! This place is called Shillawon. They are famous for Black pork bbq and they were mentioned in Michellin guide. 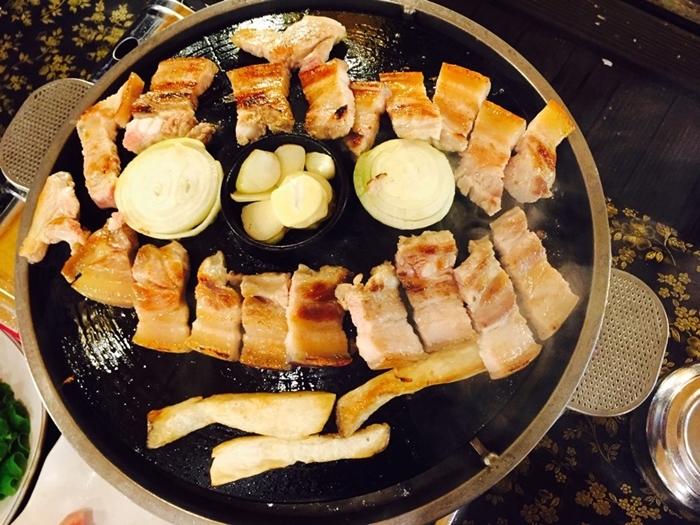 Black pork is another local specialty in Jeju Island. The combo menu comes with all this food with so many side dishes! 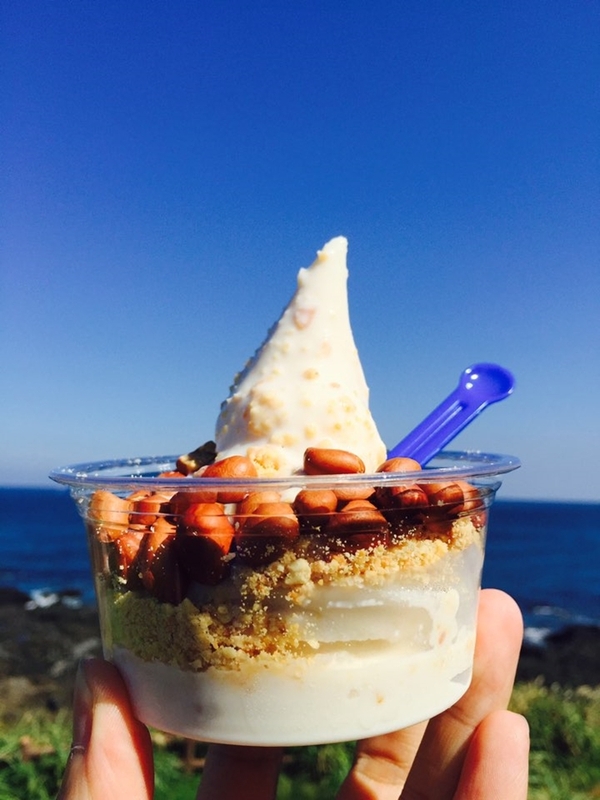 Jeju Island is known for their clean natural environment and fresh local food. Maybe that's why everything was so delicious in Jeju Island. 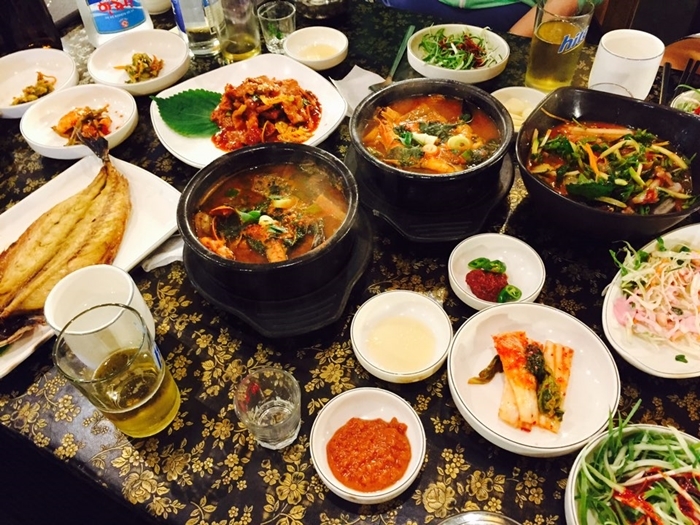 Which food would you like to try from Jeju Island? Also Check out my other blog for more pics and video from Jeju Island.